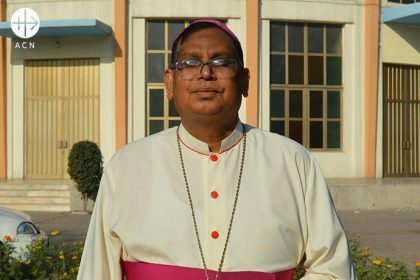 Joseph Arshad, archbishop of Islamabad-Rawalpindi and president of the Catholic Bishops’ Conference of Pakistan, discussed the situation of the Catholic church in Pakistan with Aid to the Church in Need (ACN) during a visit of the foundation to his country. Catholics are a minority, representing just 2% of the country’s population. 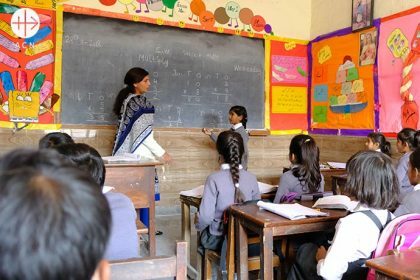 The Pakistani church has placed its hope for the future in giving the people a good education so that they can earn the respect of others. The objective is to change the image that other religions have of Catholics. Most Catholic families are poor and labour in slave-like conditions. The overwhelming majority of Catholics cannot read or write. Joseph Arshad, archbishop of Islamabad-Rawalpindi and president of the Catholic Bishops’ Conference of Pakistan. What are the origins of the church in Pakistan? According to tradition, St. Thomas the Apostle introduced the Gospel to this region. His journeys took him all the way to India, through territories that, up until a few centuries ago, were once shared by Pakistan and India. It is said that St. Thomas followed the route of Alexander the Great on his way to southeastern India, passing through present-day Pakistan, where ancient Christian communities still exist today. The old city of Taxila is located close to what is now Islamabad. There, excavations from Greek and later times brought to light the remains of a cross chiselled into stone, which has been attributed to St. Thomas. The cross is currently being preserved in the Cathedral of Lahore. What happened after St. Thomas the Apostle? In the 16th century, this region was part of the Mongolian Empire. At the time, a king by the name of Akbar invited several priests to explain Christianity to his royal household. Several Jesuit missionaries accepted his invitation. The king gave his permission for two churches to be built in Lahore, which, however, were destroyed by later kings. Finally, a new wave of evangelisation took place in the 18th century, at the beginning of the rule of the British Empire. The church entered a new heyday. Catholic chaplains from the British army began to carry out missionary work among the people. This set off a new era that continues to this day. How did you discover your calling to the priesthood? “When Christians are educated and have had professional training, then the image of our community will change”. What do you consider to be the most important thing that you have learned? The faith of the ordinary people has strengthened me in my faith. I learned to love the church through the love of the people. They ask for our presence, our help, our leadership. I am very happy to be a priest. I thank God every day for this. The ordinary people were actually the ones who taught me that God is a vital aid, that there is always hope with Him. What does the future of the church in Pakistan look like? The Catholic church is focusing on priestly formation. We need good and well-educated priests and religious. In addition, our community has to have access to education. When Christians are educated and have had professional training, then the image of our community will change. We are also trying to create better Christian families, in which spouses treat each other with respect and love and parents recognise the importance of educating their children. The aid that we receive from ACN in these areas is absolutely indispensable. And what is the status of vocations to the priesthood and to a consecrated life? Thank God that there are both vocations to the priesthood and to a consecrated life, particularly in the small villages with Christian majorities. In my bishopric, there are currently 35 candidates to the priesthood. There are also 20 novices at the house of formation of the Dominican sisters that is located next to the cathedral. What are the special needs of the church in Pakistan? As I have already mentioned, education is of prime importance. Many people cannot continue their education, either because there are no schools or no money. Most of the students in Christian schools are Muslim. Our schools are open to all. However, we need more schools. The church was once highly regarded and esteemed because of its schools. Nowadays, the population and the cities have grown by leaps and bounds. Our institutions have other challenges to face. Moreover, we once had a large number of missionaries from other countries. Now that the Pakistani church is becoming more and more a local church, we receive less support from outside. We also have great financial problems that make it difficult to continue with our mission.